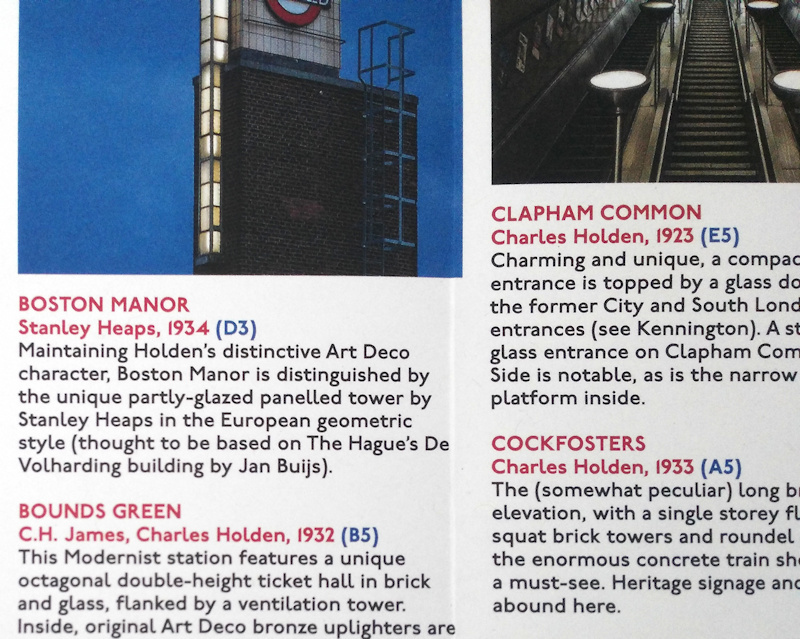 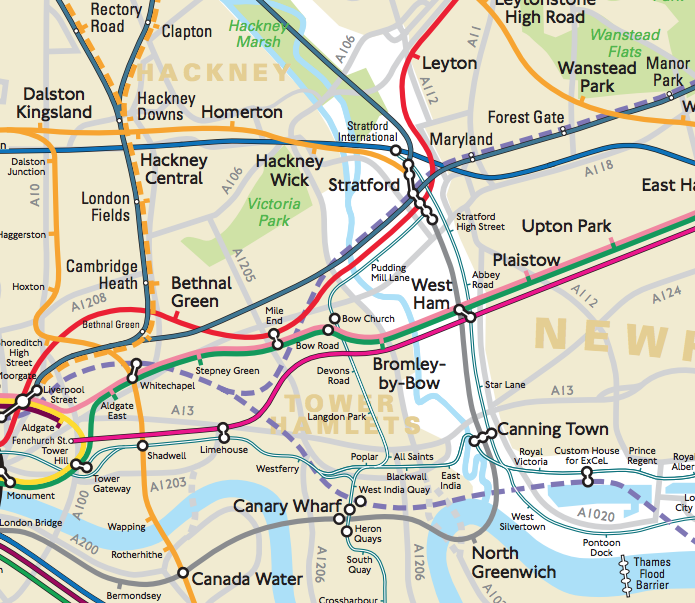 Using the famous “Johnston” font for the text throughout (note those diamond-shaped dots on the ‘i’s), and including a detailed description of some of the most architecturally interesting stations on the network, on the reverse, the map folds out to approximately A2 size, covering almost the entire network (Heathrow Terminal 5, Amersham and a couple of other outliers get cheekily omitted). 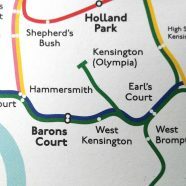 An inset version shows the central London detail and includes a skeletal road network to put this section in context. 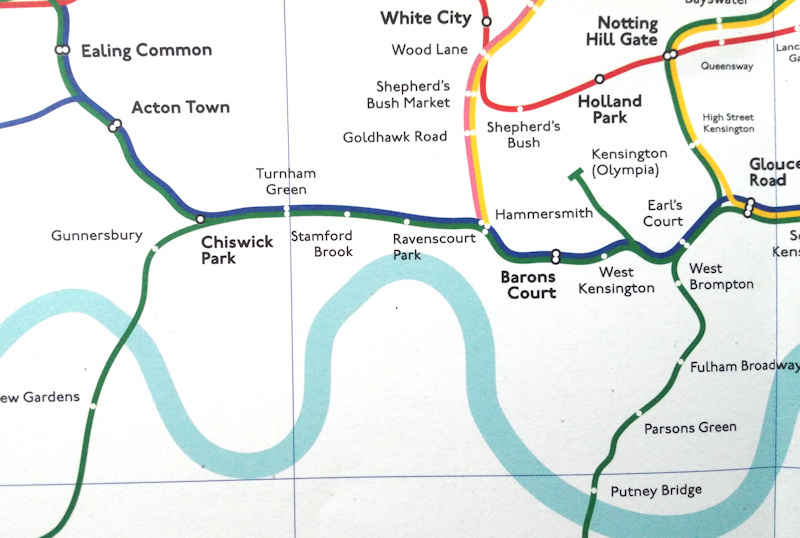 The main map is presented on a simple white background with just the lines and stations, as well as the River Thames. 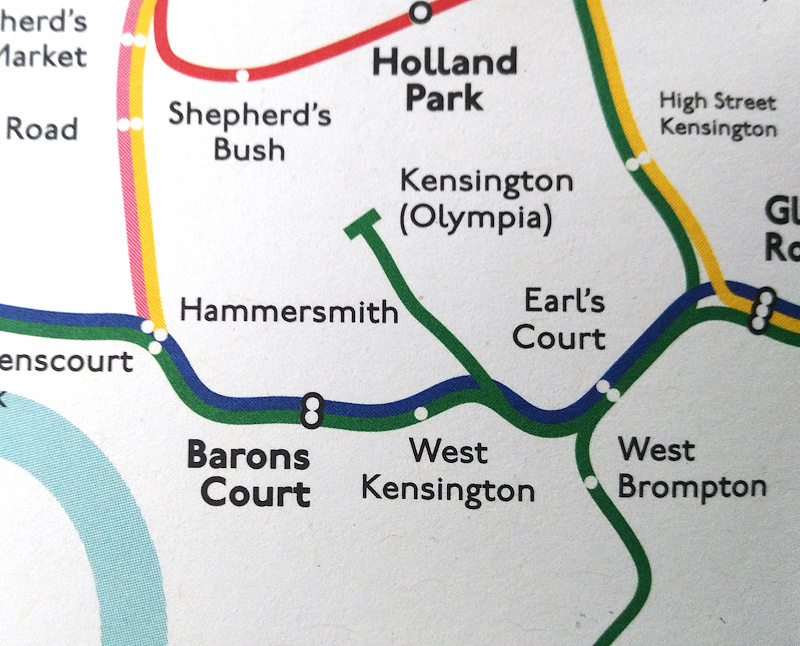 Our favourite thing about this map is the paper it is printed on – lovely, grainy paper, and presented in that enticing roundel-adorned card envelope. 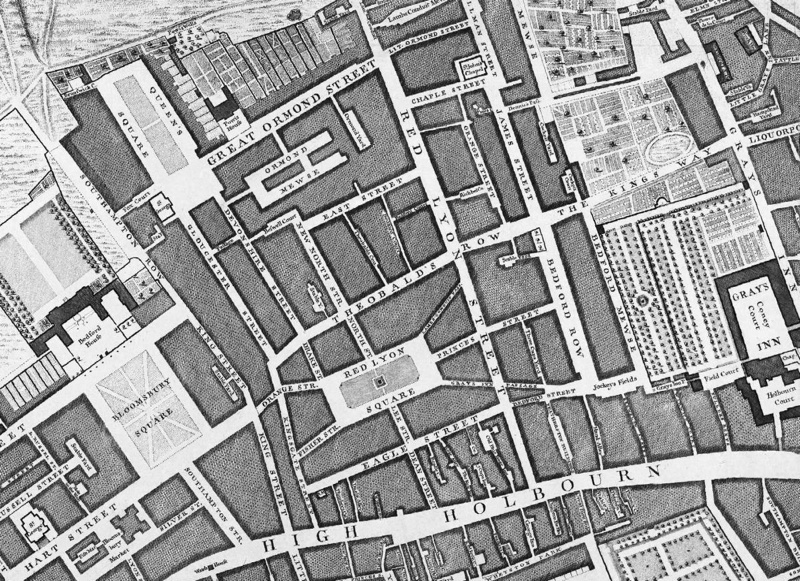 The map inside arranges familiar colours and names into a different perspective and the notes on the reverse are full of interesting detail. 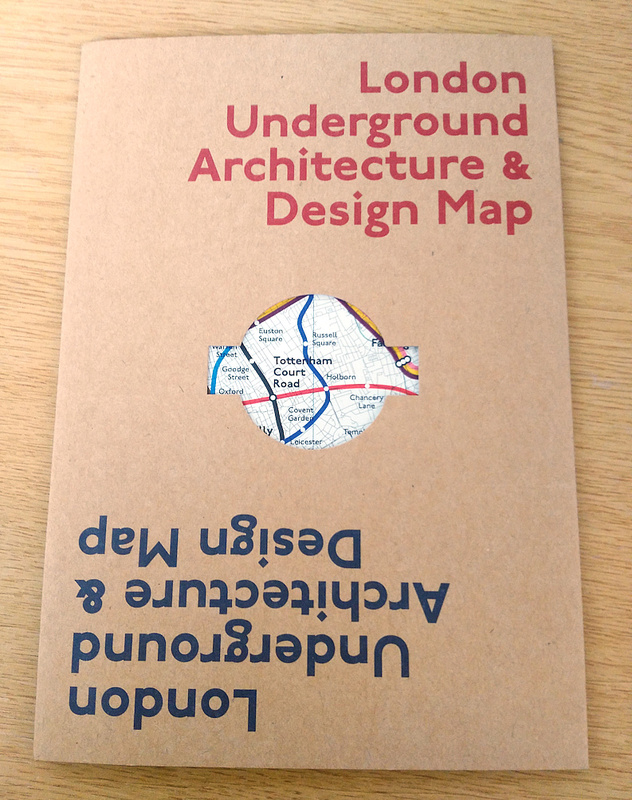 You can get your own piece of tube map design from the publisher, Blue Crow Media, it’s on sale in their online shop for £9.